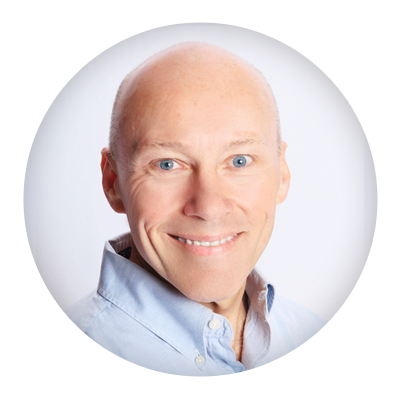 This week I have the pleasure to host another guest blog post from Beau Sides. Beau has a new book launching this week; Unseen Tears. Unseen Tears is a poignant, but hopeful, journey through the lives and challenges of orphans and orphanages in China. Even in the midst of overwhelming odds and very limited resources, there are people committed to supporting and transforming the lives of these most vulnerable children. In my new book Unseen Tears, I tell the unique stories of a number of children and the people who work so hard to care for them. I feel so fortunate to have been able to get to know these special individuals and share their stories with such a broad audience. Because I believe that one must act responsibly in sharing knowledge with the world, I wrote this book with the support of the non-profit that I work with, Global Partners in Life. Together, we hope to reach many types of people, especially those who have been touched by adoption, particularly international adoption, in some way. Children adopted from China or other foreign countries often question their background and upbringing early on and in a deeper way, particularly since their appearance often differs greatly from that of their adoptive family. Though these parents often go to extremely great lengths to attain custody of their adoptive children, they themselves often know little about the environment or background in which their beautiful children were born and lived in China and struggle to give their children the answers they so desperately desire. One example of an issue, which many foreigners are unaware of, is how many struggles go into preparing a Chinese child for adoption. 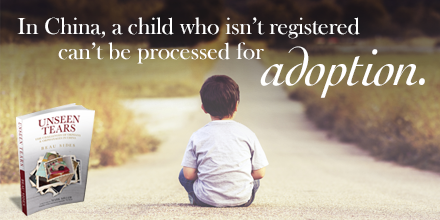 For instance, if a child is not registered, he or she is not eligible for adoption. This is further complicated by the fact that sometimes children are abandoned with no paperwork and registering them can be extremely difficult. It is important that an international audience understand these struggles to be better prepared when considering adoption themselves, so on a wider scale they can relate to some of the specific problems that orphans around the world face. I touched on many aspects of China and Chinese culture in my first book, Lessons from China. 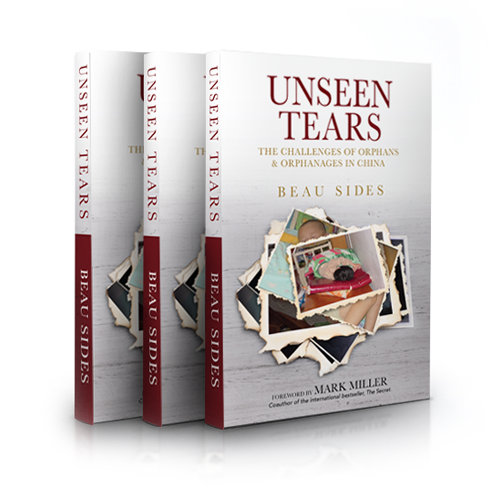 Through working with the orphans and through my second book, Unseen Tears, I hope to provide a unique insider view, yet with a foreigner’s perspective, on the environments within orphanages in China. I can’t imagine going through life wondering what my life was like before I was introduced to my family, especially if that life took place in a foreign country on the other side of the world. I hope you will take a moment to learn more about our non-profit Global Partners in Life and the children we support, and that you will personally benefit from reading Unseen Tears. Orphans are all around the world, many of them with special needs. To transform their lives, some of them receive wonderful care, but some are living in deplorable conditions. The reality is that if you invest your time, talent, and resources, these children can have much happier and healthier lives. Unseen Tears is the story of these children’s journeys. You can get involved with Global Partners In Life or with one of the many other local and international organizations that help orphans domestically and internationally. ALL proceeds from Unseen Tears will go to support the work of Global Partners In Life! 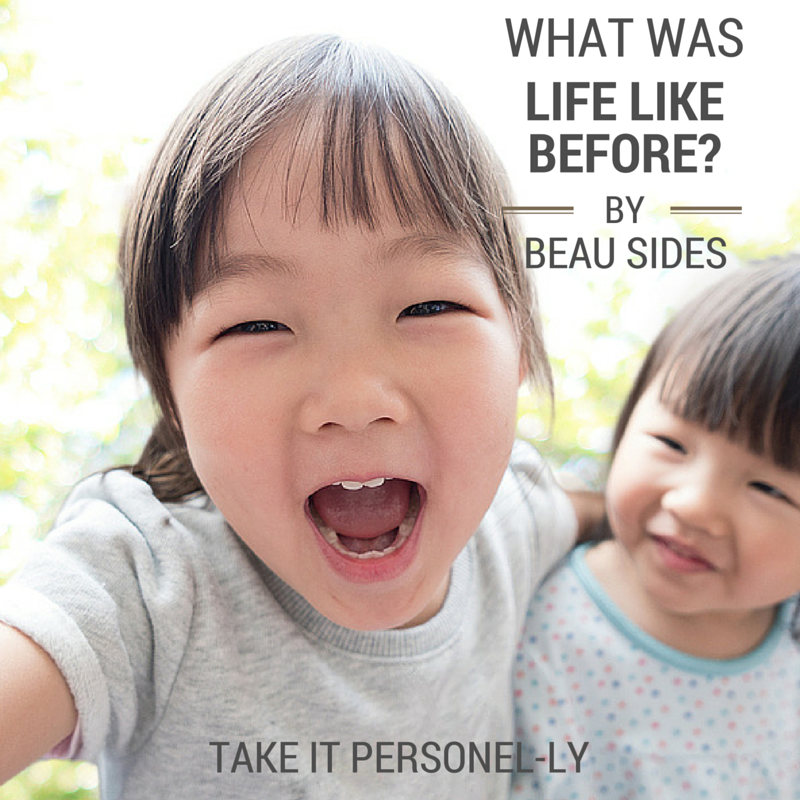 Beau Sides is the author of Unseen Tears: The Challenges of Orphans & Orphanages in China and Lessons From China: A Westerner’s Cultural Education, both available on Amazon. Learn more about Beau at his website www.beausides.com or connect with him on Twitter @BeauSides. I enjoyed this guest post from Beau. It gives me insight into the environments my friends’ children adopted from China may have experienced.